Homes was born in 2000, specializing in high-quality homes with an exceptional attention to detail and craftsmanship. In the fall of 2004, Regal Homes relocated to Evansville, IN where Kimbrough introduced his unique style and the finer points of home building to southern Indiana. 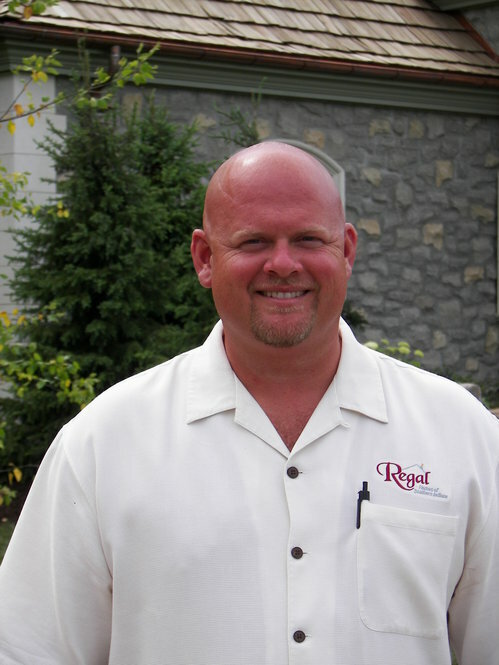 Regal Homes has since emerged as the area’s premier builder. From subtle touches like tinted mortar and self-closing cabinetry to “wow” factors such as antique brick kitchens and ornate hardwood flooring, every Regal Home is built to custom specifications with Kimbrough’s discerning eye for detail. No other builder in southern Indiana compares with Regal Homes’ amazing flair for the unique. From bold exteriors to intricate interior trim work, Regal Homes makes it a number one priority to build more than just another simple house – Regal Homes builds dreams.